We have gone through many videos and leaked images depicting the possible design of Apple’s flagship iPhone 8 which is going to release in September this year, now a new video has come from OnLeaks and Tiger Mobiles which is showing the more clear look of iPhone 8. It is claimed that the dummy unit seen in the video is built from a 3D CAD schematics, sourced directly from the factory in charge of building the new iPhone. In this HD quality video, a dummy model of iPhone 8 is seen with edge-to-edge display without the Home button which is looking very impressive, a rear dual camera placed vertically, front facing camera and sensors are placed on the top bar, and a black glass chassis showed very clearly. In the video, there is no rear Touch ID fingerprint sensor is seen so if the upcoming iPhone 8 will look like this dummy model then we assume that the Touch ID fingerprint sensor will be embedded into the display of the device. In the video, the Apple logo at the back of the device is gray in color. The video is also confirming the wireless charging in the device with an OLED display panel. In the video, we can see the device is measured 71mm wide, 144mm long, and 7.5mm thick. The iPhone 7 has measurement 67.1mm wide, 138.3mm long, and 7.1mm thick while the iPhone 7 Plus comes with 77.9mm wide 158.2mm long and 7.3mm thick. With this measurements, we can compare the upcoming iPhone 8 with iPhone 7 and iPhone 7 Plus. The iPhone 8 will have the 5.8-inch display but will almost have the same size to the iPhone 7 and display size will be similar to the iPhone 7 Plus. 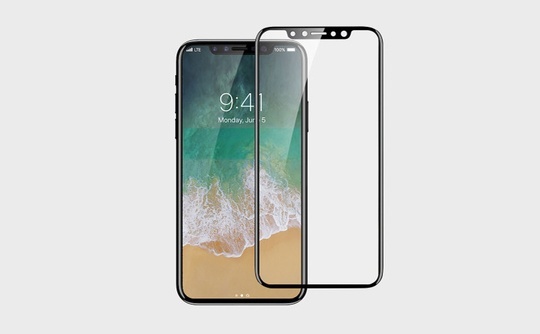 However, the chances of having some changes in the actual model of the iPhone 8 are also very high. The smartphone will launch in September this year along with other two iPhone models that could be named as iPhone 7s and iPhone 7s Plus. Apple is going to introduce its upcoming iPhone 8 with many new features to make the device more worthy to buy.